I am a bit nervous to go home today. It feels a bit silly to feel like this. But the other day, when the postman was ringing our doorbell & I was too poorly to get out of bed to answer the door, I overheard the woman next door say something about me in a tone that was most disapproving. In the end I somehow got to the door on the postman’s third try – but that exertion wrote off the rest of my day because my body hadn’t been ready to move yet. Our neighbours either see me through the window in my pyjamas lying in the sofa, or they see me dressed and walking the two metres to the car. Sometimes I drive, sometimes I am the passenger. They must know by now that I do not work. Perhaps they wonder if I work from home. We have never chatted with them for long enough to tell them about my health. Yet I worry now that some of them may have made assumptions about me, because of what I overheard through the bedroom window the other day. Rightly or wrongly, I feel ashamed and embarrassed to say that I have M.E. It is a label that does not evoke the ‘correct’ response in most people. The word ‘tiredness’ is the only word that springs to most people’s minds when you mention it. Some go as far as mentioning the words mental illness and psychological. My heart sinks every time. 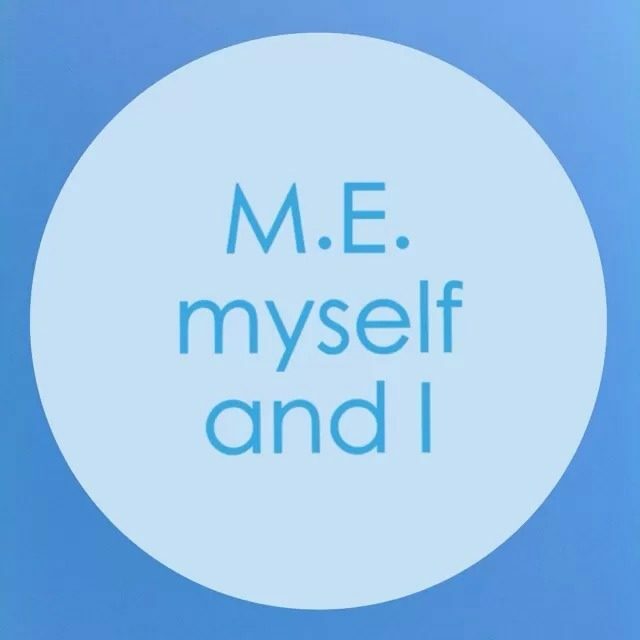 The stigma attached to those two letters M and E is something I have spoken of often but to live with the knowledge that the majority of people still do not understand the severity or complexity of this illness can be quite disheartening and damaging. I am sure that our neighbours have seen us go out on my mobility scooter or putting the wheelchair in the boot of the car. Yet it must confuse them to then see me appearing to be perfectly ‘normal’. My health fluctuates. At the moment it is mostly at the lowest end of functioning but for the most part I can alternate between ‘good’ days and ‘bad’ days throughout the course of a week. Invisible illness is tricky. I understand that. I also understand that if this hadn’t happened to me I would probably be none the wiser to the battle that sufferers of invisible illness face. So I am nervous. Nervous and worried about the perceptions of others. Everyone says that I’m not to worry; that I have nothing to prove – that I know how poorly I really am and those closest to me know it too. But letting go of this worry is so much easier said than done. Nearly six years in and I still feel like a novice at times like these.